We are excited to feature Shawn Irwin, Sales and Leasing Consultant, as our Feature Friday interviewee this week. 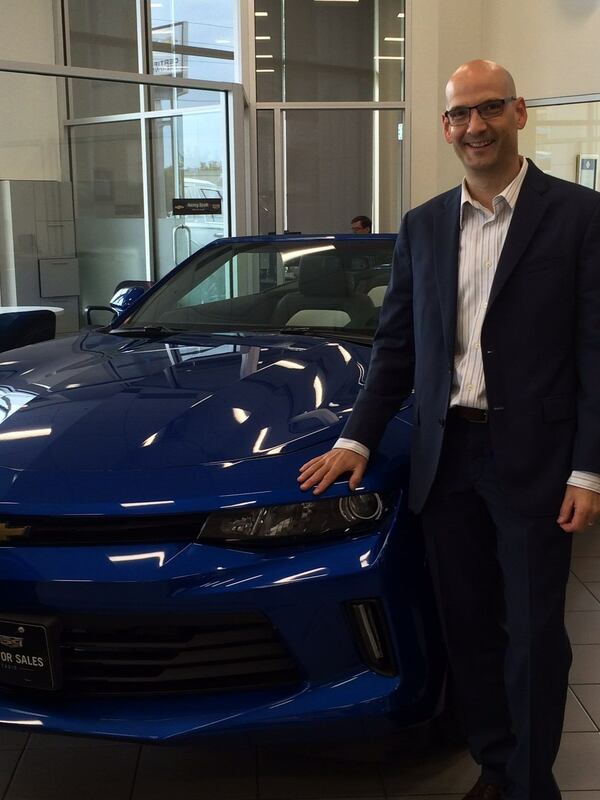 Please scroll down to read about Shawn's take on life around the dealership. One of the things I love the most about OMS is that it is a family run business. OMS has been around for a long time and has more than established itself in the community, and I really enjoy being a part of that. There is a very positive environment that is largely put in place by the managers and Tony. That positivity filters down amongst everyone who works here. This makes it enjoyable to come to work every day, which is a good thing because we spend a lot of our time here! Compared to other places I have worked over the years, the managers here are very supportive. They offer encouragement to their sales team, which in this business goes a long way to how we do our jobs. Another thing I do love about working here is our large inventory of vehicles. It makes the selling process more exciting when you have a variety of choices to offer your customers. As well, our managers are more than willing to order unique vehicles requested by some of our customers. Interacting with customers is hands down my favourite part of this job. It is the very reason I got into this business. I thoroughly enjoy talking to people and hearing their stories. I try to build rapport with all of my clients. My philosophy is I don’t just want to make that one sale I want to build a relationship with people so that they feel comfortable coming back or referring they’re family and friends. This is so important in this business. I try to make sure that when people drive away in their new vehicle that they know the door is always open if they have any questions or concerns. The best decision I ever made was coming to OMS. This is not just a job to me it’s a career, and though it may sound corny but OMS is my home away from home. There can be many stressful moments here (particularly around month end) but it rebounds and everyone always gets through it in a supportive way. Actually month end is a really good example, everyone is always busy no matter what their position and yet people seem to just pull together. That’s what makes working here so enjoyable. One of the most interesting experiences and certainly the most fun, was when we went to game 5 of the Blue Jays game last year! As I’m sure many people know, this was an incredibly exciting game. We were fortunate enough to be sitting in the 100’s and what a view we had! The atmosphere in that game was electric. By the 7th inning people were going wild and throwing beer, it was crazy. Outings like this mean a lot to us because this business is very up and down and doing fun things like the Jays game seems to recharge everyone. It’s very nice.